New Zealand’s most circular national park. Gracefully shaped, Mt Taranaki / Mt Egmont volcanic cone is the star of the Egmont National Park show. Reaching 2518m, it has starred in a movie, hosts a ski field and many enjoy its hiking and mountaineering opportunities. As for the national park, the protection of an area has never been so obvious. In 1881, a 6 mile radius from the summit of Mt Taranaki was protected as a Forest Reserve. Intensive dairy farming has took place right up to the reserve making the boundary show clearly on satellite images. The areas encompassing Pouakai and Kaitake were added later, resulting in Egmont National Park. For more from the Taranaki region see: Taranaki – Guide for Backpackers. Climb to the summit of Mt Taranaki. Take an epic hike, the Pouakai Circuit. Witness the stunning Bells Falls. And Dawson Falls with all its surrounding walking tracks. Ski or board the club field Manganui. Where there is an impressive mountain, there are always those who wish to climb it. At 2518 metres high, the Mt Taranaki Summit Track is 5-6 hours up and 3-4 hours down. The summit rises well above the clouds giving amazing views of the national park boundary and all the way to the coast on a clear day. As well as a scramble over rocks, the dramatic change in weather is known for making this hike tricky. It is advised that you tackle the track during summer conditions. Even during summer, it would be wise to pack some crampons, which you can hire, for some of the icy patches. Those without mountaineering experience can use the local guides to get to top safe and sound (and exhausted with a feeling of overwhelming achievement). For more information head on over to our 6 Hikes You Have to do in Egmont National Park! A tramping track that has you literally living on the edge. Traverse across Boomerang Slip. Pass underneath the mighty Dieffenbach Cliffs. Make your way through the Ahukawakawa Swamp. It is this variety in walking tracks that keeps trampers engaged and always guessing on the track. Apart from the obvious view of Mt Taranaki, the orange water of Kokowai Stream is an intriguing feature on the walk. The water is turned orange by manganese oxide coming out of the earth. There are a couple of detours worth taking from the back country huts. From the Holly Hut, join the Stony River Walkway. From Pouakai Hut, climb Pouakai Trig to get sensational views of the coast and the Central Plateau mountains. Water surges over an ancient lava flow at Bells Falls. The 1h30min Stony River Walkway takes you across a swingbridge to an area popular for trout fishing and picnics. The start of the track is in the Okato Domain in South Taranaki. For a detailed description of this hike and others in the southern part of the Egmont National Park, check out 5 Walks You Can’t Miss in South Taranaki. And if you can’t get enough of waterfalls, Dawson Falls is on the south eastern slopes of Mt Taranaki. They are a 10 minute walk from the Dawson Falls Visitor Centre, plus they lead to a network of other short walking tracks. Nearby is one of the oldest hydroelectric power generators in New Zealand still hard at work today. Dawson Falls and is accessed at the Stratford side of the Egmont National Park. For more details, head on over to 6 Hikes You Have to do in Egmont National Park! Ski or ride down Mt Taranaki! The club field is 59 hectares for skiers and boarders with experience behind them. The majority of the runs are advanced and 35% are intermediate. Lift access is to black trails and backcountry area, which in true ‘club field‘ style, the lifts are a mix of rope tows and T-bars. You can make a ski weekend out of the trip by staying in the lodge at the base of the ski field. Lift passes are a more backpacker friendly at NZ$45, unlike the price of a commercial ski field lift passes. The nearest towns are Stratford, New Plymouth and Hawera. Although climbing Mt Taranaki in winter conditions is a risky business, you don’t have to miss out on the magical winter scenery. Helicopter flights can give you views of the summit and the Pouakai and Kaitake ranges. Walk through Enchanted Forest on the Enchanted Forest Track, not because there are goblins – then again, you never know – but because of the gnarled shaped and moss-covered trees. The short Veronica Walk on an evening provides a good chance of hearing some kiwis. Drive up to the Stratford Plateau for Taranaki views without the hiking. 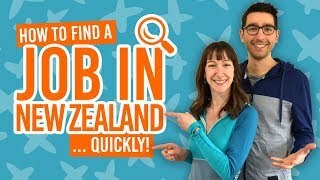 Where to stay in Egmont National Park? For more accommodations near the Egmont National Park, check out Accommodation Guide to New Plymouth.